Quality Ear Piercing Kit at Wholesale Prices! Get It Now!!! 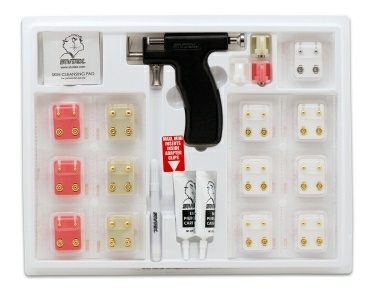 The Gar-Gano company offers two Studex ear piercing kits that are designed to generate income for the user. Each kit contains and ear piercing instrument, ear oiercing studs and accessories with full detailed instructions to help the user to pierce any ear safely. A short training video or hands-on training is available with any online purchase. When the user is finished using the studs they can re-oder them at an average cost of $2.00/pair. All accessory items (gels, lotions, relase forms, surgical marker, signs) are always complementary. The ear piercing instrument has an unconditional lifetime guarantee. Kits start at $69.00 your hair cutting needs. Any shear purchased online comes with a free razor and a 30 day money back guarantee if not fully satisfied.